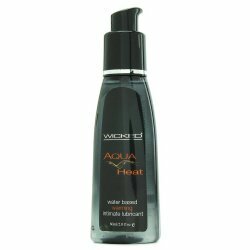 Wicked Ultra Heat - 2 oz. Add a little spark to your intimacy. Ultra Heat is a unique blend of natural extracts and the highest quality silicones to create the ultimate in stimulating sensation. Waves of warmth excite pleasure zones while naturally enhancing lubrication. 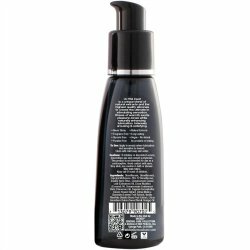 This high performance, sleek formula is never heavy, greasy, or tacky. Amazingly arousing & satisfying. Weight (no box): 0.1800 lbs. Apply to area(s) where lubrication and sensation is desired. Cleans away easily with mild soap and water. If irritation or discomfort occurs, discontinue use and consult a physician. This product is not intended for use as a contraceptive. Avoid contact with eyes. Very slick, use caution in bath or shower. Keep out of reach of children.